zhongguozhuli has no other items for sale. 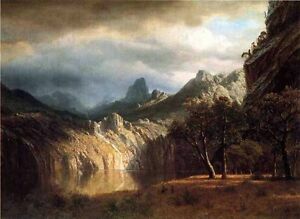 Details about Dream-art Oil painting In Western Mountains & rivers Albert Bierstadt canvas 36"
Dream-art Oil painting In Western Mountains & rivers Albert Bierstadt canvas 36"
This item has an extended handling time and a delivery estimate greater than 35 business days. Will ship within 30 business days of receiving cleared payment - opens in a new window or tab. The seller has specified an extended handling time for this item.